Welcome to this wonderfully located clean & bright 3 bedroom, 2 full bath one story home with paid off solar system & flowing floor plan full of natural light. 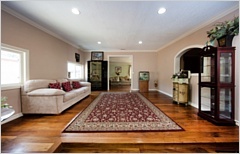 The formal living room is just off dining area with large windows & walnut wood floors. 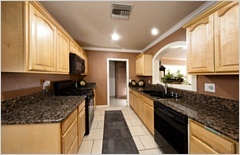 Family room off kitchen with lovely granite countertops & a pass through window to the bright & spacious bonus room, with wet bar which overlooks the sparkling large pool & mature beautiful ficus trees that add privacy to the backyard. Lush & well-designed front yard for low maintenance. 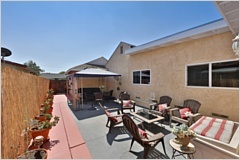 Private backyard with separate sitting area perfect for relaxing. 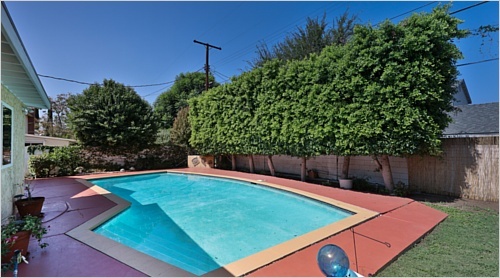 All this & located walking distance to temple & all Tarzana & Woodland Hills has to offer on a quiet sidewalk street. Fully owned 21 panels solar system & new insulation radically reduces utility costs. Come experience this one of a kind home now before it's too late.